Teen Challenge is holistic – meaning that we are concerned with the body, mind, and spirit of those who come to us for help. We endeavor to help people become mentally sound, emotionally balanced, socially adjusted, physically well, and spiritually alive. We are confident that a restored relationship with God, through Jesus Christ, can transform those who are broken into vibrant, free, and sober people. There are over 200 Teen Challenge programs throughout the United States offering a variety of programs and services for youth, adults, and families. Admission requirements, fees, and tuition costs vary from program to program. While Teen Challenge (a 501(3)(c) non-profit organization) is diligent to provide cost-effective programs, the significant resources required to provide training, lodging, meals, supervision, and other expenses necessitate the generous support of our friends, faith communities, and a concerned society. Each local Teen Challenge program has its own procedures and entry requirements. They also fund their programs in unique ways that work for their communities and those they serve. 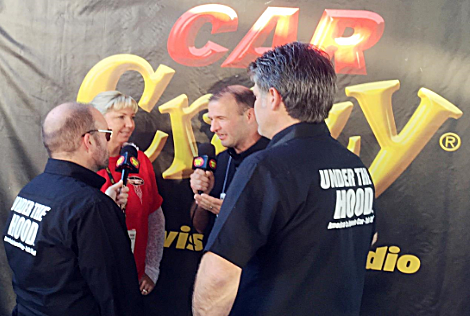 Here is a great interview we recorded live at SEMA 2014 with Nicole Meguiar Northcoat telling her story of faith, a personal challenge we can all benefit from, and her story of Teen Challenge and the Crossroads Car Shows which benefit Teen Challenge. Click Here for interview audio.